Here's a quick set of things to keep in mind that can help you decide if your parents need home care facilities. It's always good to take a well informed decisions at such times for their best life during their most fragile age. Read ON! Even after being an adult, you still tend to care about your parents. This is why you always think of doing what is best for them. For many, accepting the fact that their parents need help can quite tough. One of the major fears seniors have is, admitting that they need help will kill their independence. Home-based healthcare focuses on providing patients a healthy, safe, and high-quality life. And since this the care is home-based, elders will not lose any independence and will be able to make their own choices. Research shows that about 90% Americans prefer aging inside their homes. So, it’s up to you to understand the problems your parents are facing and how you can help them. 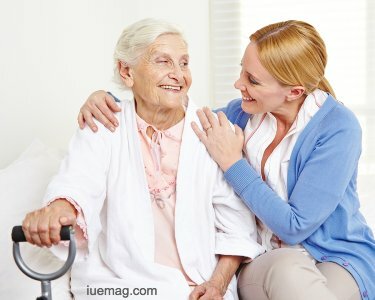 Here are 3 signs that suggest that your parents need home care. Are your parents wearing the same clothing for days? Does their hair looks messed up? These are signs that depict poor hygiene on your parents’ part. Poor hygiene paves the way for bacteria and germs creation on the body and in surrounding environment. If you find your parents facing difficulties in keeping themselves clean, it might be a good idea to seek help. If you notice a drastic change in your aging parents’ behavior, it may be a reason to worry. If you find your parents have lost the basic drive to accomplish a goal, they probably are suffering from depression. This should be taken seriously and proper medical care should be provided. It is quite normal for seniors to eat less. However, you should be concerned about it if you find your parents are losing weight rapidly. This rapid weight loss can be a sign that shows your parents are finding it difficult to feed themselves properly. You should also look out for burn marks and pots on their arms. Burn marks are a warning sign that shows that your parents are facing difficulties while preparing their meals. Check out the kitchen to see if the fridge and cupboards are filled with dust and cobwebs. This also suggests that your parents are not cooking enough and are depending on packed food. Not cooking enough and living on the bare minimum will not only lead to weight issues but also make the immune system weak. A major reason to think of getting help for your parents. The above-mentioned signs are evident to the fact that your parents are growing old and need help. Hiring professional caregivers can help your parents live a safe and healthy life. Check out the infographic here 123 Home Care for more information. Brandon Shamis is a contributing writer at Inspiration Unlimited eMagazine.